← Mini or MINI: What’s the Difference? 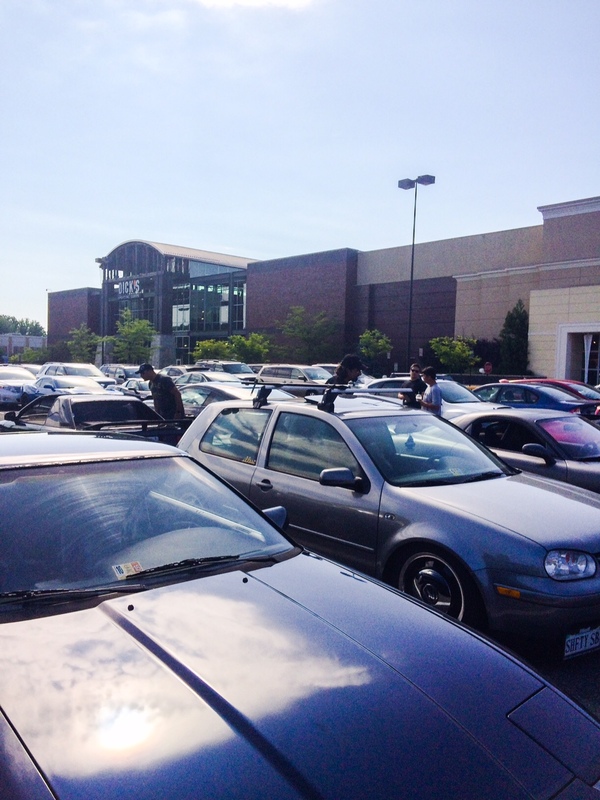 Apparently, a bunch of cars hang out every Sunday at the Kohls in Fair Lakes and they aren’t just MINIs! There’s been a thread about it on the #DCMM forum for a long time but it was short on details. Since Alicyn, Melissa and I have been busy organizing the #EPICMINIRALLY and needed some planning time, we decided to drop in and check it out before we got started. I picked up Ali for the ride over. As soon as we arrived we spotted a few club members standing around. Sadly, there were no extra spaces next to them so I have to park between an old truck and some sort of dirty SUV. First to arrive and best in show, if you ask me. Brad and Catalina were there for a little while, but they had homework and couldn’t stick around for long. 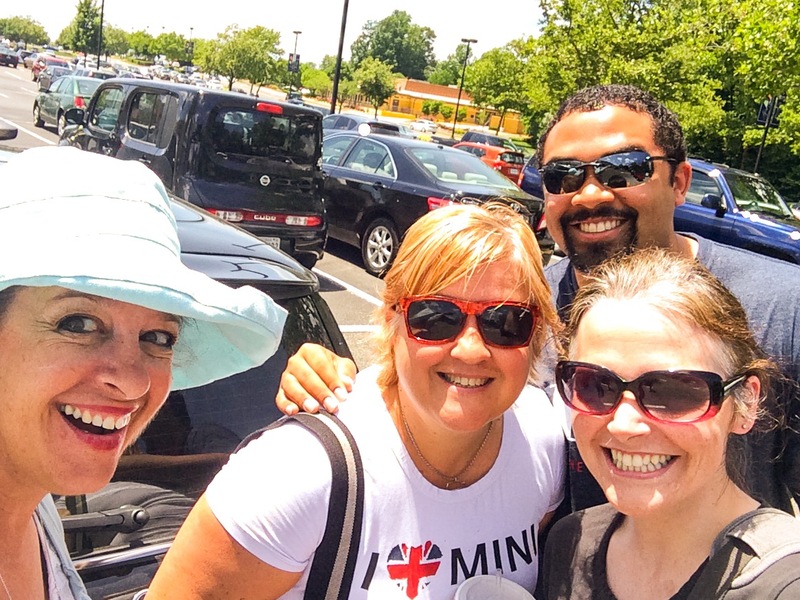 Also, it was exciting to finally meet Nick (Kickenwing84) and his beautiful MINI in real life! 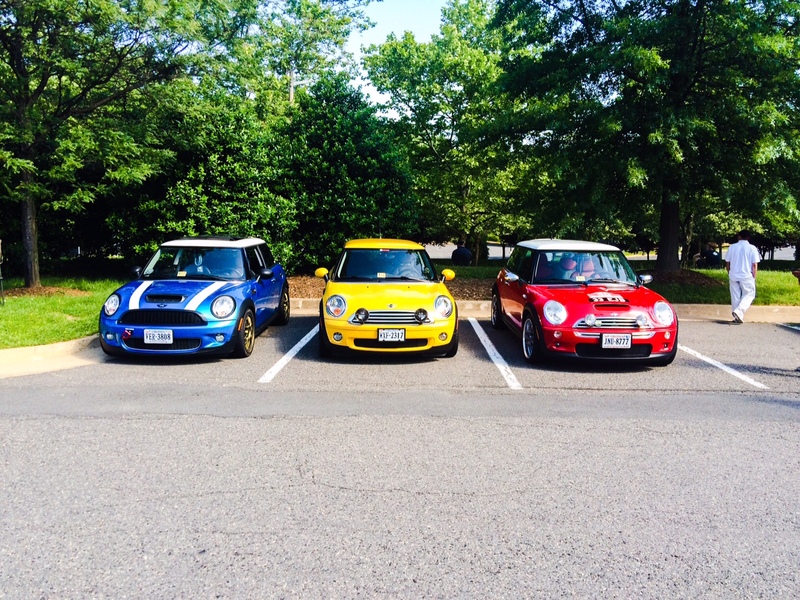 Who doesn’t love the blue MINIs? And see his super cute stickers! 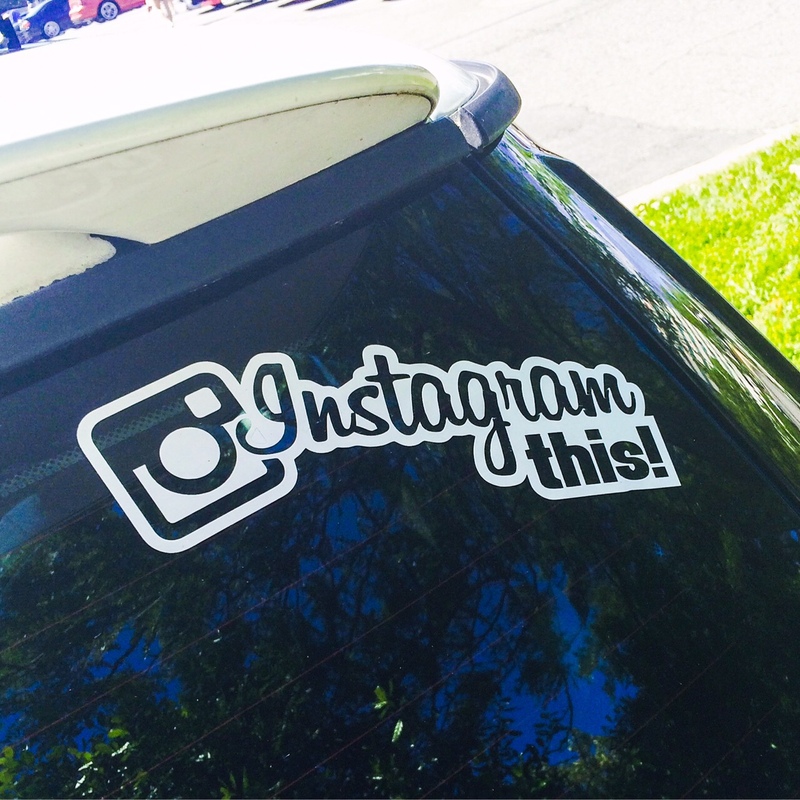 All of us were lusting after this sticker. Unfortunately our friend in the yellow MINI left before I got a chance to meet him, but I did move right up into his spot, so thanks friend! Corey and Brandi arrived and Brandy, Ali and I headed over to Starbucks for the coffee portion of the event while the rest of the group wandered off to look at cars. That gave Brandy and I the chance to discuss logistics for MINIs on the Mack now that she’s decided to ride with me. Corey, Rey and Nick look at a car and discuss car stuff. We returned to the parking lot and looked over a few of the cars. I didn’t think any of them looked as fun as the MINIs. Melissa arrived and was able to park near the rest of us. When the car between us finally left, Ali generously guarded the empty spot so Corey could join us. 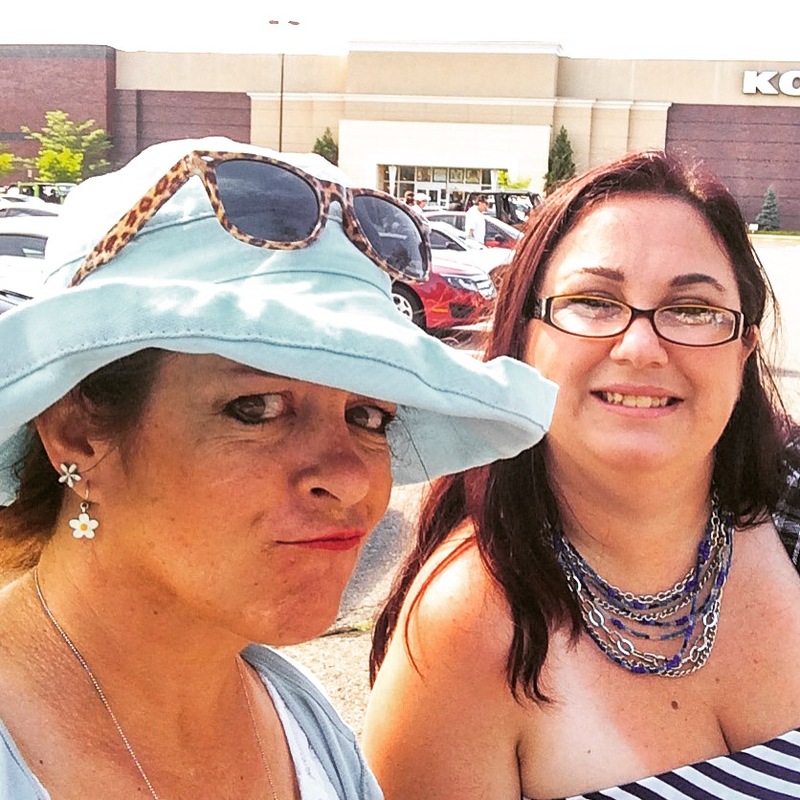 Nick and Corey wandered off to look at Nick’s car and Ali, Melissa and I tried to talk Rey into posing for a few Men And Coffee photos we could share on Instagram on behalf of the club. You know, for membership. Just hanging out talking about how much fun everyone is going to have at the #EPICMINIRALLY Have you registered yet? You should. So nice of our friends to wave us off! So as Melissa suffered from heat stroke in the back, I barreled over a hill and around a curve and took out some poor little squirrel. I felt horrible, but my mourning period was interrupted when it occurred to me Ali could report “roadkill” on Waze so I could at least get a few more points. I think that’s part of the healing process, don’t you? Did you know they’d removed that feature? We decided to grab a quick lunch in Fair Lakes before Ali and Melissa had to leave for the DCMM board meeting so we pulled into the parking lot for a noodle shop. It’s a perfect timing too, because Alex and his car Shadow showed up at the same time! 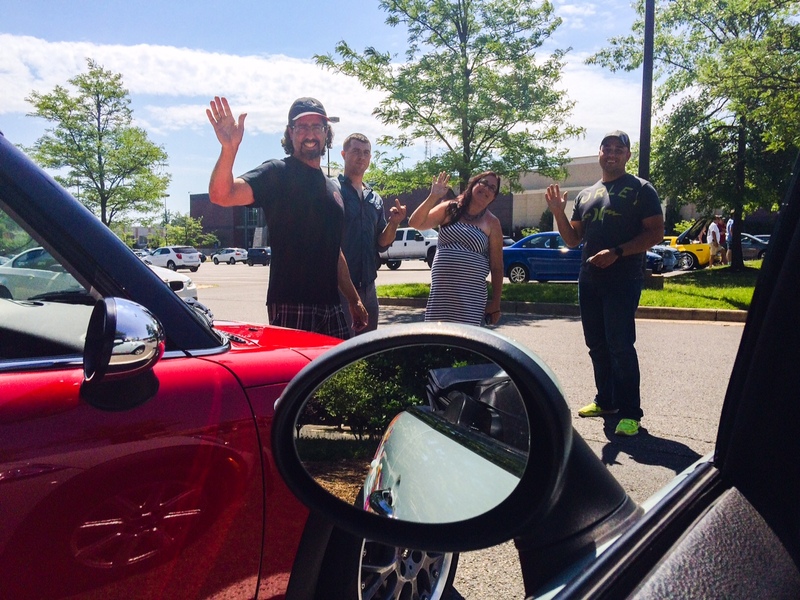 What a happy surprise to not only spot a super mean MINI, but to also discover it’s part of your club! 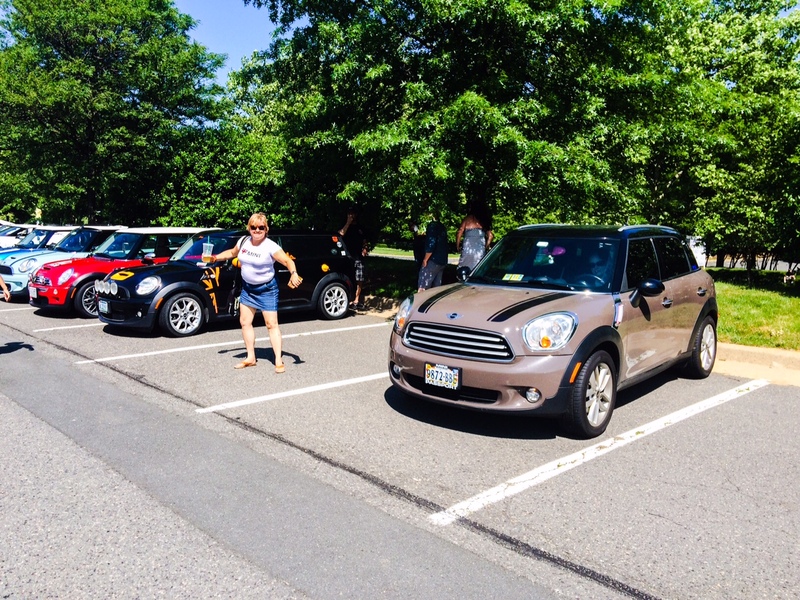 This entry was posted in DCMM and tagged #EPICMINIRALLY, DC Metro Minis, DCMM, Kohl's Cars and Coffee, mini, mini cooper, STickers. Bookmark the permalink. Did you notice that Corey is not exactly waving us goodbye? Thanks for commenting, Alex! It was an awesome post only because of the awesome people in the awesome club!